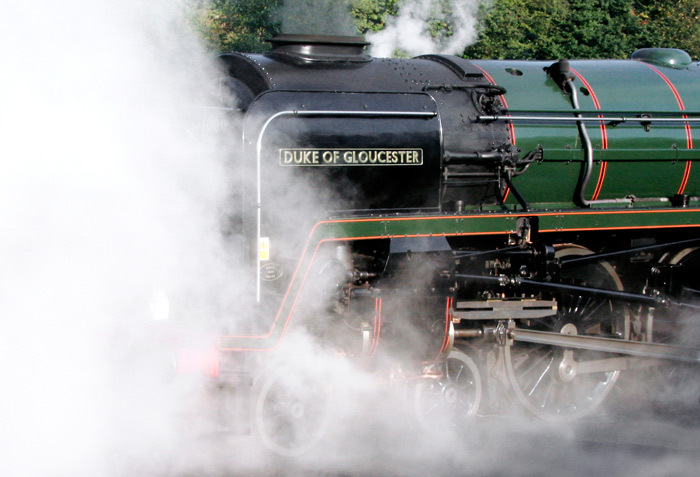 71000, the Duke of Gloucester, was built by British Railways in 1953 and remained the sole example of a new express passenger Class 8 Pacific locomotive design. Withdrawn in 1961, it languished in a scrap yard until bought by the Duke of Gloucester Locomotive Trust in 1974. Here, it is about to enter Grosmont tunnel during a 2008 visit to the Railway. 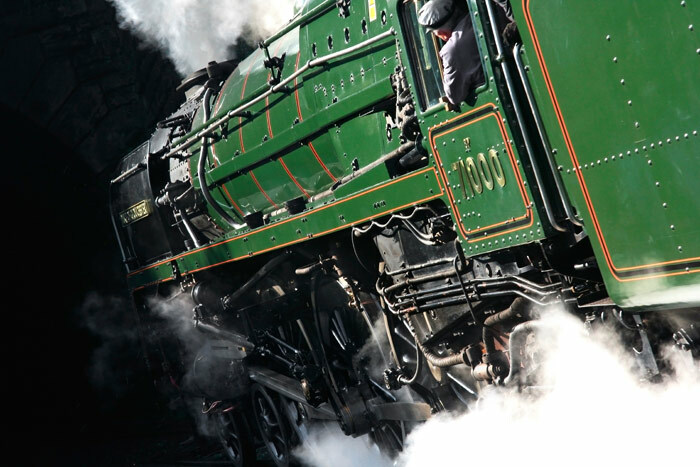 After thirteen years of restoration and modification to improve its efficiency and performance, the Trust out-shopped Britain's most powerful steam locomotive and an outstanding engineering achievement. Here, slight variations in the surface of the hand brushed gloss paint stylise the reflections of some of its many admirers. Like many preserved locomotives, this one was immaculate at the start of a working day. The design featured three cylinders with the 250 psi steam regulated by Caprotti poppet valves rather than the more usual systems such as Stephenson and Walschaerts. 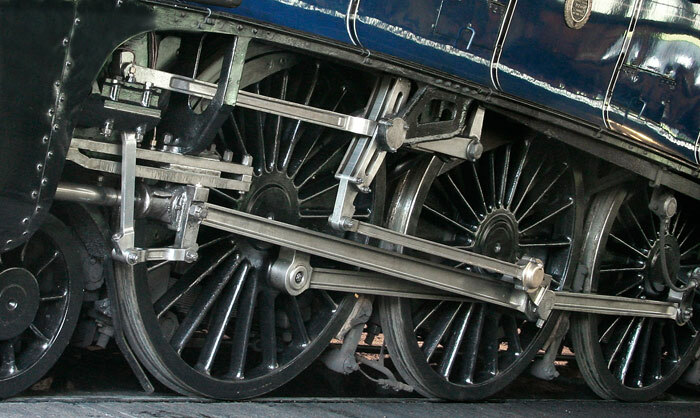 Its 74 inch driving wheels are smaller than earlier express locomotives built by the LNER and LMS in the 1930s with diameters of 80 and 81 inches. 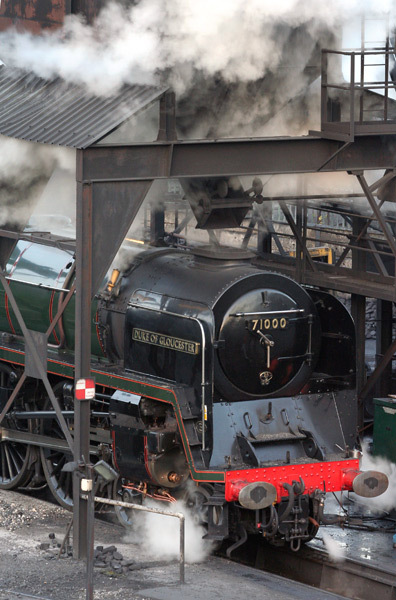 Contemporary tests showed 71000 to be the most efficient 'simple' steam locomotive anywhere. With fewer moving pasts, the running gear has an elegant simplicity although in motion it may lack a little of the visual drama of its more complex brethren. 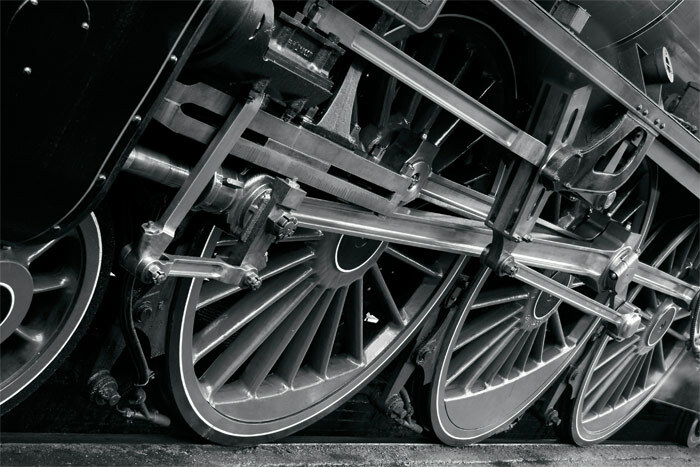 The nine standard classes of locomotive built by British Railways from 1951 display a strong machine aesthetic through engineering simplicity for ease of maintenance that differed markedly from predecessors such as the Flying Scotsman of 1923. Limited access points for photography make images somewhat repetitive in general composition but always tempered by variation in locomotive and the arrangement of the paraphernalia used to prepare and maintain them. At the start of a working day, 71000 has moved under the tower to coal its tender and undergo final checks before moving off for water and to attach to its train. Nigel Gresley was appointed Chief Mechanical Engineer of the Great Northern Railway in 1911. In 1922 the locomotive works at Doncaster out-shopped Great Northern, the first of seventy-nine A1-class Pacific express passenger locomotives completed by 1934. The design was superseded by this more powerful and streamlined 35 strong A4-class in 1935 built as superior to its diesel equivalent. 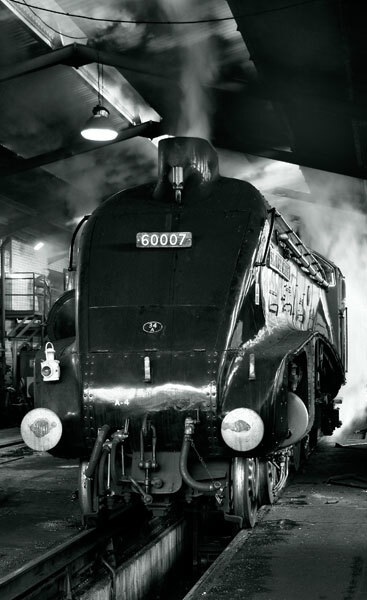 60007 (formerly 4498) was the one-hundredth Pacific built for the London & North Eastern Railway, the successor to the Great Northern Railway and established as one of Britain's 'Big Four' Companies in 1923. 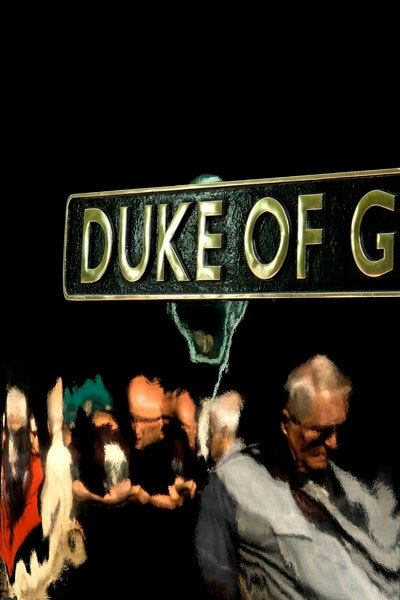 It was completed in 1937 and named by the LNER in honour of its designer who had been knighted by King Edward VIII in 1936. The A4 design was produced to haul six-coach expresses over the 268 miles route from London to Newcastle within four hours. The first fully streamlined train entered service as the Silver Jubilee in 1935 and achieved 112 mph on early demonstration runs. When first built, the running gear was enclosed behind a flat panel that ran from the front buffers to the rear of the cab. In 1928 the LNER began running a non-stop service over the 392 miles of the line from London to Edinburgh. Some of its A1 locomotives were fitted with side-corridor tenders to enable crew changes from the leading passenger coach en-route; a later version equips 60007. At intervals and at speed, water was scooped into the tender from long, shallow, troughs fitted between the running rails. The steeply graded climb to the top of the moors at Goathland starts in Grosmont station and is not the flat mainline route for which 60007 was built. 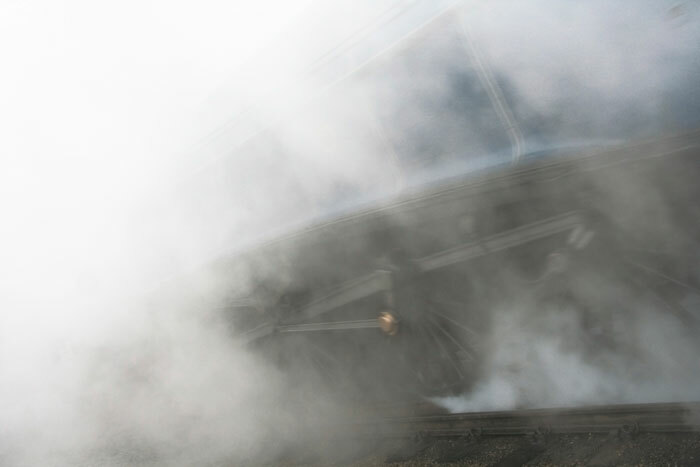 A full head of steam is established before departure and blowing off any excess can, as here, shroud the scene in the short distance from platform end to tunnel mouth. Very occasionally, even the most proficient drivers suffer wheel slip on wet rails. 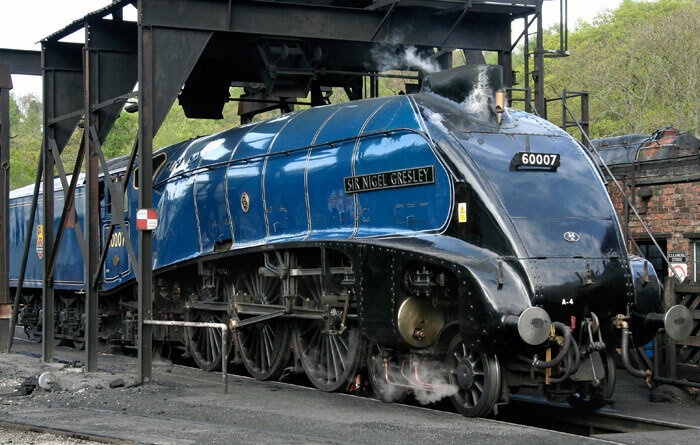 Sir Nigel Gresley died in 1941 and was succeeded by Edward Thompson: Arthur Peppercorn followed him and in 1948 launched the final revisions of the 1922 Pacific design. 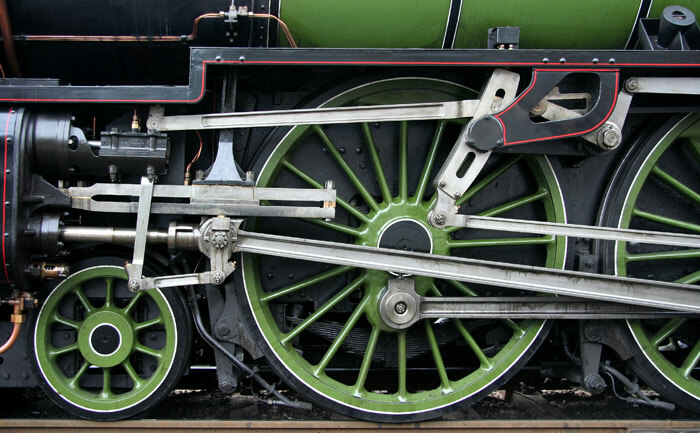 The Tornado is a completely new locomotive built from the Peppercorn's original works drawings kept at the National Railway Museum. 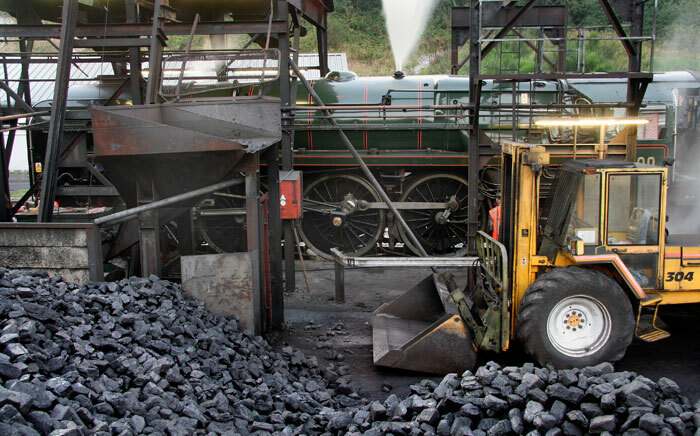 The project took the A1 Locomotive Trust nineteen years from inception to the first steaming in 2008. 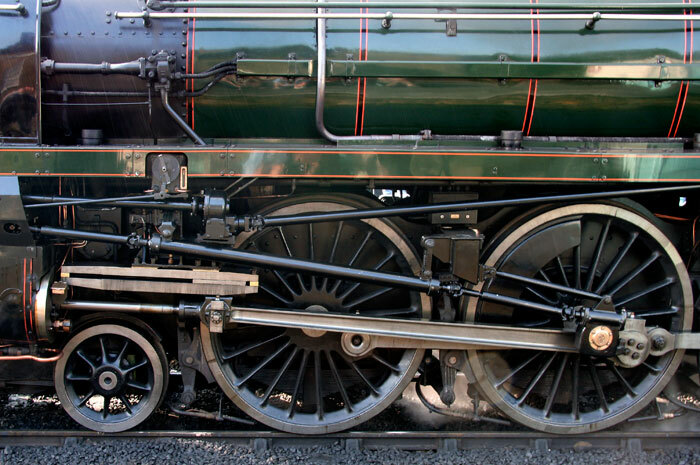 Forty-nine of the original Peppercorn A1designs were built, running on 80 inch driving wheels with a boiler pressure of 250 psi, compared to Gresley's original 1922 design that operated at 180psi. The most efficient and economical to operate of any British Railway's Pacific locomotive fleet, all were scrapped by 1966. 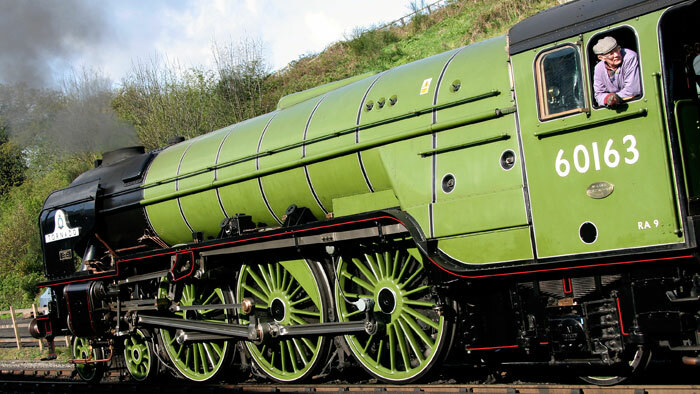 Tornado wears the traditional apple green LNER livery. The original drawings were an important basis for building, with references made to Blue Peter, the sole but non-operational survivor of another Peppercorn Pacific design, and other sources. 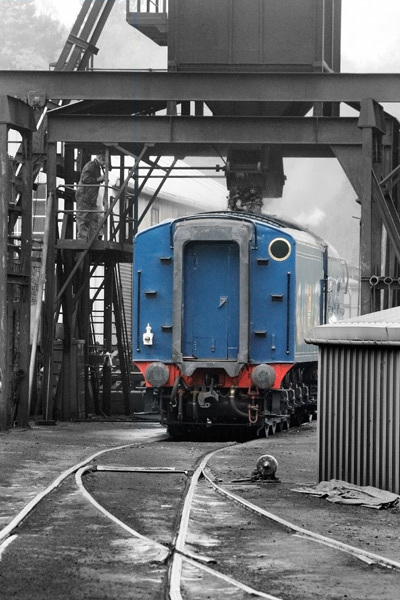 Design changes include an all-welded rather than riveted steel boiler, air rather than steam operated primary brakes, roller bearings throughout, less coal and greater water capacity, and improved steam transmission. 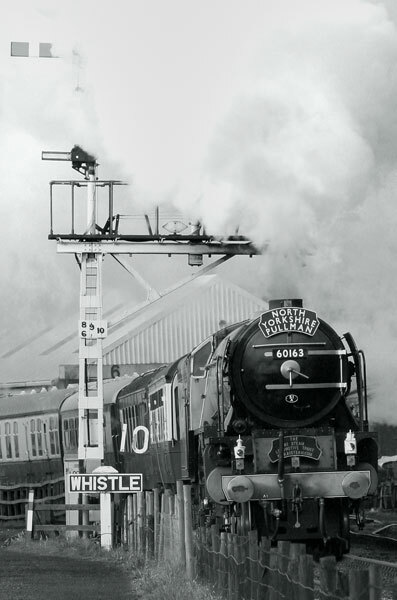 A primary intention is to operate Tornado on Britain's main line routes where it can achieve 100mph and operate at 75 mph and more. It's equipped with safety and electronic systems never envisaged in 1948 but essential in 2010 and was never intended to be a simple replica. 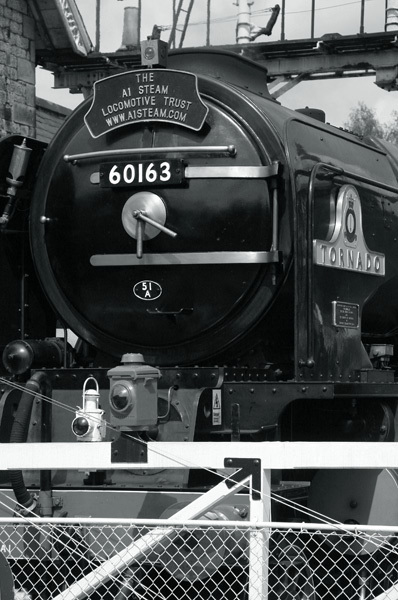 Visit a1steam.com for the current special trains and related events at museums and preserved railways. This great engineering achievement was initiated by the efforts of a small group supported by many individuals, organisations and much fund raising. Tornado has cost some £3m to bring to life. 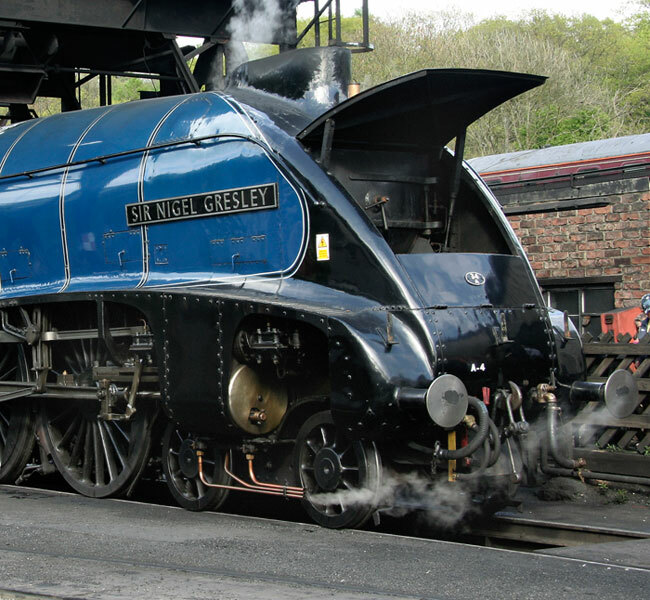 Gresley's Great Northern cost £8,560 in 1922 values but was built in series in a fully equipped and specialised works that had by then designed and built steam locomotives for nearly eighty years.